If you thought that the state of the art Smartphone and tabs was the coolest thing on earth, you are so dead wrong. You are yet to come across the newest mind-blowing, breathtaking technology that leaves you in total awe; Google Glass. In the simplest terms, it is a ‘walking computer’ literally. It is one device that in the near future will ensure that Pcs, Tabs and Smartphones are kicked out of the market. Unlike the other three gadgets that have to be carried in pockets and bag to take them along with you in your daily life, the Google Glass is a device that is worn, just like glasses. It has a high resolution camera that you can use to film real life experiences and take pictures at the same time. It also has a visual display that brings the virtual world right in front of your eyes, a touch pad for device control, a microphone for voice control and speakers for audio feedback. The beauty of this device is that all of these utilities come in a single package which is mounted on spectacle frames. Google Glass technology has been around for more than a century now. Like any other technology brought to life, it has some of its roots in science fiction books and movies such as Star Trek. Earlier devices, which were referred to as heads-up display in the 1900s, were invented to assist in putting data within the wearer range of vision. The only difference between these devices is that while the heads-up displays were worn on the whole head, Google Glass are just worn as spectacles, they are lighter, more powerful and packed with features such as games and image recognition software. 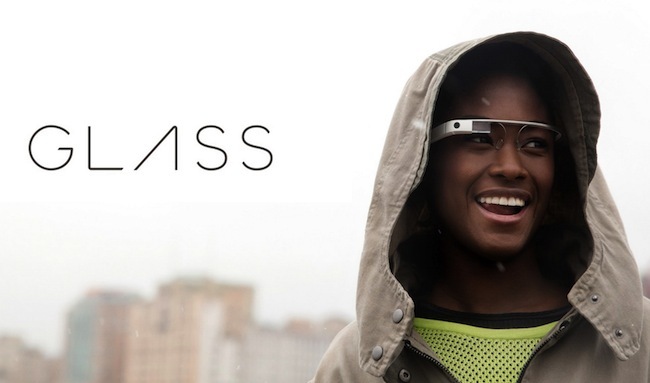 There are two ways to control Google Glass devices. You can control it via your voice commands or alternatively through the touchpad located on the spectacle spine. It has a little display which is located above the line of sight to stream the information to your eyes while at the same time allowing you to carry on with your daily activity such as walking without being distracted. To activate the device, you either have to incline your head to about 30 degrees or double tap its spine. If you need the device to do something, for instance to shoot a video or take a photo, all you need to do is to say “OK Glass” then give it a specific command like “take a picture”. Whenever either of the functions (picture taking and filming) is being carried out, a diode light that is out of your line of view will be on indicating that it is executing the given command. Google Glass will be very helpful in a number of ways, for instance, recognizing new people and direction. If you are lost, using Google Maps and GPS it will literally guide you to where you intend to go. If you are a frequent traveler in foreign countries, the Google Glass is able to translate any text that you see into any language for your convenience helping you overcome language barriers. The most profound feature of this new device is that it is able to identify your needs and adapt to them accordingly. It is always aware of your surroundings and will feed you with information about your current location if you request it to. You will no longer miss your flights as the notification information will always be beamed right in front of your eyes. If someone sends you a text message, it will be streamed on the display and you will be able to reply through voice input. The Google Glass is already out in the market. However, only the developer versions which were sold at $1500 a piece are currently being used by developers to do testing and other glass app development. It will be available to the general consumer by the end of 2013 or early 2014.